I really like going to see movies in the theater. I especially like going to see new, creative horror movies in the theater. 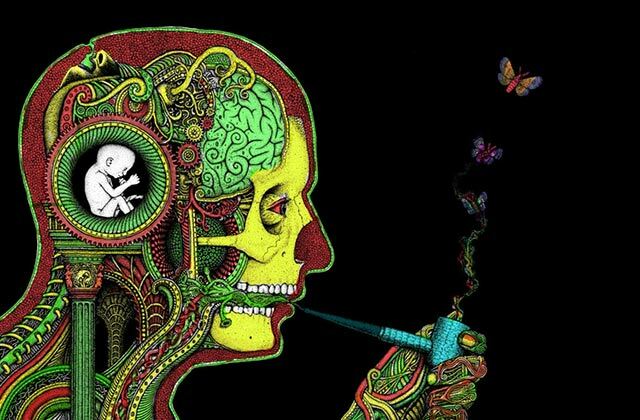 And more than anything, I love getting really high on edibles and going to see new, creative horror movies in the theater. So after seeing positive reviews and reactions pour in for former Office alum John Krasinski’s new horror film A Quiet Place, I decided this one would be worth going all out. I brought home a frosty bottle of Happy Apple cider, my favorite infused beverage. This one had a whopping 100mg of THC in it so I could share with my significant other. We split it evenly in half, so we each downed 50mg. Then we headed over to our local cineplex, settled in at the back of the dark, crowded room, and felt our high start to settle in. As the trailers began, I could feel my senses being enhanced. My limbs felt tingly and I was rapt with attention at the beautiful high-definition images and colors on the screen. All of the upcoming movies that were previews looked amazing, particularly a Scream-esque, campy thriller called Truth or Dare (I bet you can guess the premise). Other action-thriller trailers got us on the edge of our seats. It’s hard not to enjoy such sensory overload when coming up on edibles. As the previews came to a close, I felt blissful and excited. Then A Quiet Place began, and quickly the mood of the room became very tense. If you haven’t seen any previews, A Quiet Place is about a family trying to survive in a world that’s been taken over by terrifying monsters that hunt by sound. The parents (portrayed with intense conviction by Krasinski and his real-life wife, Emily Blunt) and their children (the child actors here are impressively good and committed to their roles) have adapted their lives to exist in constant silence, and yet the danger threatens their safety and lives at all times. Within the first few minutes of the film, the audience is made very aware of what’s at stake if any noise is made. Not only does Krasinski (who with this film proves himself a very capable horror director) refuse to shy away from showing in detail the noise-hunting monsters, he also is unafraid to display events of shock and terror. 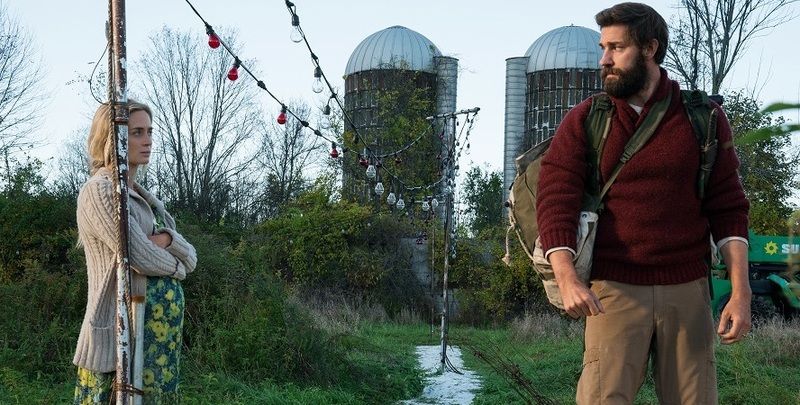 One of the best things about A Quiet Place is its tight 95-minute runtime, which allows for one nerve-shredding set piece after another. A particularly unforgettable sequence has Blunt’s pregnant character forced to give birth in utterly life-threatening circumstances, noise-hunting monsters right outside. 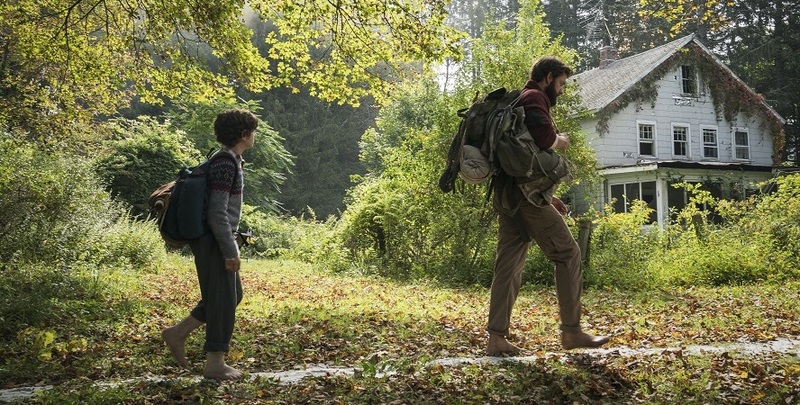 Emily Blunt and John Krasinski in A QUIET PLACE, from Paramount Pictures. Much has been made of this movie’s ability to completely silence auditoriums full of typically noisy moviegoers, and my experience was no different. Because of the dread that suffuses the entire movie, and because there are long scenes of total quiet, the audience around me refrained from conversation, whispers, phone use, and even snacking. I’m pretty sure all of us were collectively holding our breath at least two-thirds of the time. It was a trip – I’ve never experienced a full theater that was so attentive and noiseless. And of course, the entire time, my SO and I were flying high on a blissful edible high. 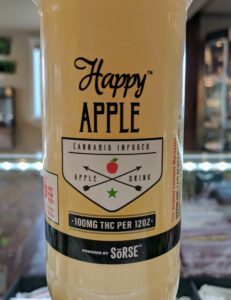 Happy Apple is magic Good Time juice. Though it was intense, dramatic, terrifying – I could go on and on with the scary synonyms – we had a wonderfully entertaining time at the movies. A Quiet Place is top-notch horror – an airtight script that practically forces the filmmakers to show, not tell, what’s going on, not to mention a creative premise that stays focused and effective, and never slow or cliché. 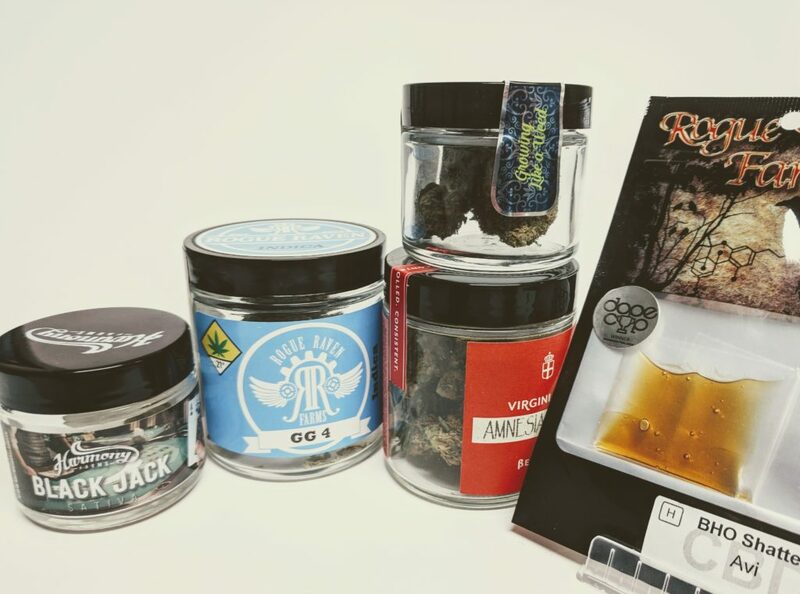 I’d encourage just about anyone to grab a potent edible, get lifted and – providing you have strong nerves and a backbone – go see A Quiet Place. Just try and curb your munchies until the end.